United Service Organizations and Google link arms to provide training and career guidance for transitioning military personnel. Google.org, the charitable arm of Google, announced Monday it is giving a grant to the United Service Organizations to provide training and career guidance for transitioning military personnel, military spouses, and veterans. 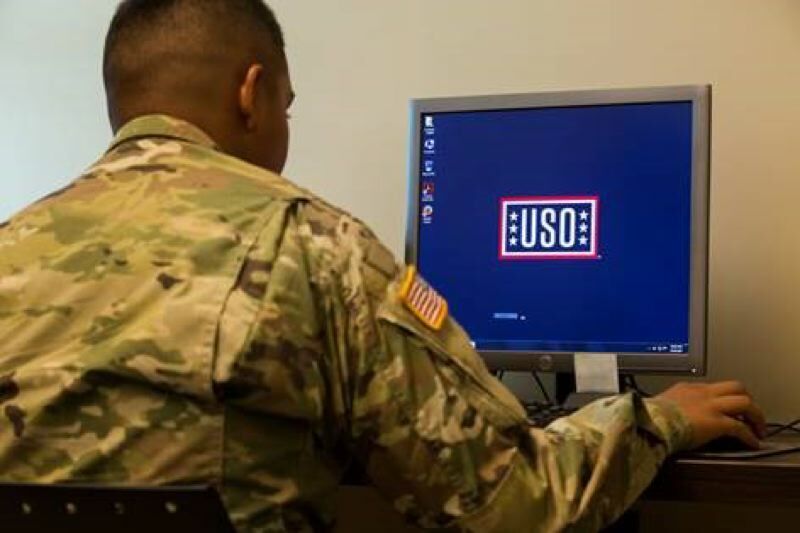 The $2.5 million grant will enable USO to incorporate the Google IT Support Professional Certificate into their programming. Starting on October 1, 2018, the program will be available at the USO Pathfinder Transition office in Portland. 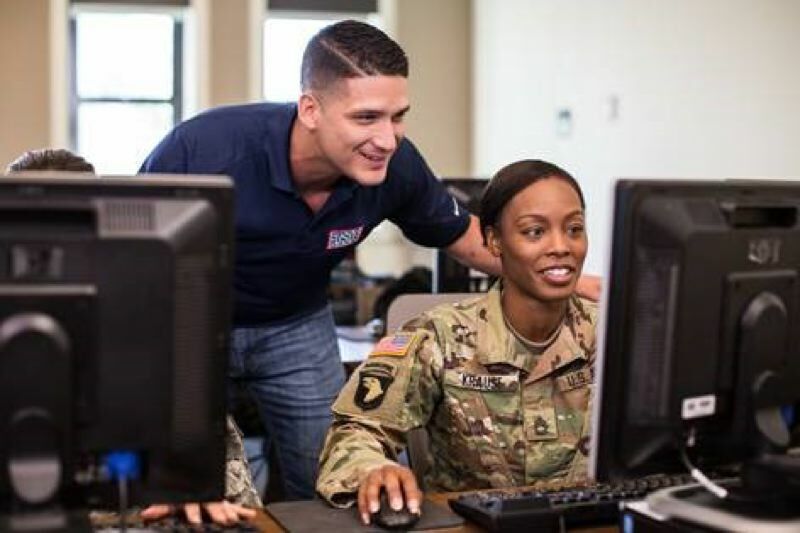 "There is an opportunity to re-equip service members with IT skills as they move onto their next chapter after military service and to help address the spouse unemployment/underemployment problem with highly portable careers in the IT industry," said Alan Reyes, USO Senior Vice President of Operations, Programs and Transition. "Through innovative partnerships like this, USO and Google will be able to provide the resources and programs that support the needs of transitioning service members and their families as well as help to minimize the workforce gap in the IT industry." "The transition process is complex, and we hope Grow with Google's new tools and resources can play a part in making that easier," said Lisa Gevelber, Google's Vice President of Grow with Google. "At Google, we believe technology has the power to improve lives. With today's announcement, we look forward to working with America's transitioning service members to help them succeed in civilian life." Learners who complete the certificate program will have the opportunity to share their information directly with more than 20 top employers who are looking to hire IT Support talent. The group of employers includes Cognizant, Bank of America, GE Digital, Hulu, Infosys, Intel, Kforce, MCPc, PNC Bank, RICOH USA, Sprint, TEKSystems, UPMC, Veterans United Home Loans, ten members of the Walmart family: Sam's Club, Shoes.com, Jet, Allswell, Bonobos, Hayneedle, Modcloth, Moosejaw, Store No 8, Vudu and of course, Google. 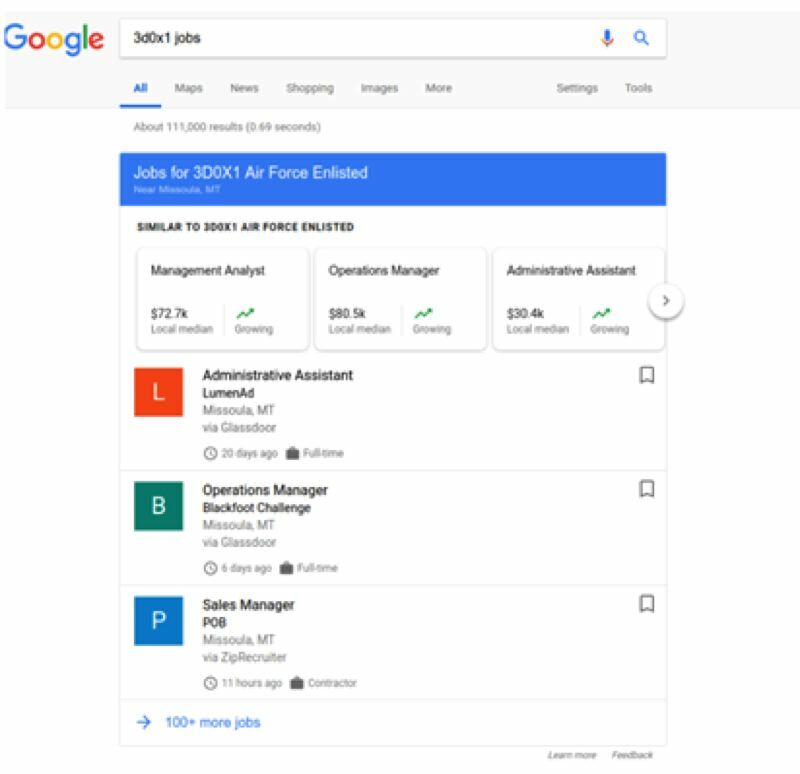 Also, beginning today, service members can now search ["jobs for veterans"] on Google and then enter their military occupational specialty code (MOS, AFSC, NEC) to see relevant civilian jobs that require similar skills to those used in their military roles. Additionally, employers can implement this feature on their own career sites using Google Cloud's Talent Solution API. Fedex, Pepsi and GettingHired have already implemented the API on their job boards. To help veteran-owned or led businesses identify themselves to potential customers, Google Maps and Search will offer a new attribute. The "Veteran-Led" designation will appear when searching for a place on Android or iOS mobile device or in Google Maps when they open a business listing and tap the two-line description of the business to see the attributes associated with that business.